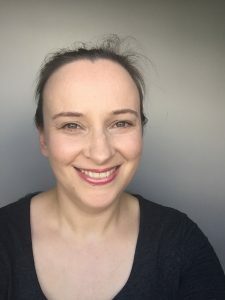 My name is Rachel King and I formed Toll Genealogy to provide genetic genealogy training for beginners, and to provide a genetic genealogy consultancy. When I was trying to solve my own genetic genealogy mystery I was struck by how difficult it was to learn what I needed to do, and often the material I found online was just too complex for what I actually needed to know. Wading through tons of material to find what I needed was time-consuming and took away mental energy I needed to work on solving my mystery. As time went on I developed my own methods for doing research, drawing on my skills gained from my education and work experience, and I of course learned what not to do as well. Since becoming interested in genetic genealogy I’ve helped people find answers to their own mysteries, but wanted to empower people to do it for themselves, so Toll Genealogy was born. My aim with Toll Genealogy is for the site to become a repository for both free and premium tutorials and course information so that anyone can feel that genetic, and indeed more traditional, genealogy is in their grasp. For me these two disciplines go hand in hand. You can’t find out about your newly found genetic ancestors without looking them up in censuses, finding out about what their lives may have been like. I’ll be adding transparent information about my consulting services as well; if you’d like more information about this now, please feel free to contact me using my contact form at the bottom of each page. I’ve been interested in genealogy since I was a child, and started researching my own family tree seriously about 20 years ago. I’ve always been interested in history, particularly social history, but I’ve always really loved playing detective to find answers as well. I am a law graduate (LLB (Hons) 2.1), University of Nottingham 2008), and have worked as a paralegal, a senior level personal assistant, and a legal project manager; all roles which enabled me to develop advanced research, organisational, analytical, process improvement and technical skills, which aid my approach to genealogy and genetic genealogy research. Although I am a long time genealogy researcher, in order to obtain full membership of the Register of Qualified Genealogists and the Association of Genealogists & Researchers in Archives (AGRA) I’m currently studying for the IHGS Higher Certificate in Genealogy with a view to obtaining the IHGS Diploma in Genealogy. Toll Genealogy is named for my great-grandfather, John Thomas Toll, identified using genetic genealogy in January 2018, after a lifetime’s search (but just over a year since my first DNA test).